Alice Murray reflects on the audition and pitching processes in Cambridge, and the way in which it disadvantages those unexposed to theatre. ‘Thesp’ is a loaded word. It connotes elitism. Whether we want it to be or not, Cambridge Theatre is often still viewed as a discriminatory and exclusive institution. Why do most of our practices continue to favour the privileged? What can we do to change this? Students from less affluent social backgrounds are generally those more susceptible to Cambridge imposter syndrome. For these students it’s already a tall order to gather the determination to seek admittance into the university theatre scene. This preinstated struggle for the socially disadvantaged to achieve integration is only reinforced by our immoderate focus on selectivity. Auditions have always been a necessary way of judging acting talent. To act in a high calibre show, you should have had to successfully audition for it. The problem is that at Cambridge it seems that you have to successfully audition in order to act all. Auditions don’t tend to pose the most welcoming mode of initiation into the world of student theatre. They don’t exactly scream ‘We’re kind and lovely. Come join us!’. There’s a reason why the Christian Union distributes toasties instead of insisting on 10-minute practical demonstrations of people’s suitability as believers in the Almighty. Being propelled straight into an audition room can feel like being thrown in at the deep end, especially if you’re trying it for the first time. Granted, the only way actors survive in the professional sphere is by consistently auditioning, but this isn’t the professional sphere. This is a training ground. This is where the Ian McKellens and Olivia Colmans of the university practised before they made anything of themselves. This is still amateur dramatics, even if it is drama at a world-renowned place of learning. Let’s not forget the ‘AD’ in ‘ADC’. Most of us don’t know what it’s like to operate in the big wide world yet. We’re not actors. We’re students without degrees. Some of us still haven’t worked out how to use a tumble dryer. At Cambridge, you can only improve your acting ability through practising in rehearsals or on stage. This is dependent on being given a role in the first place. If you have a lot of training and have performed in numerous plays already, you immediately have an upper hand; you’re more capable of whacking out a smashing audition, and, hey presto, landing yourself opportunities to mature as an actor. Would-be thesps who don’t have these advantages and never acquire audition technique get turned down. The cycle repeats itself until these students lose confidence and give up auditioning altogether. 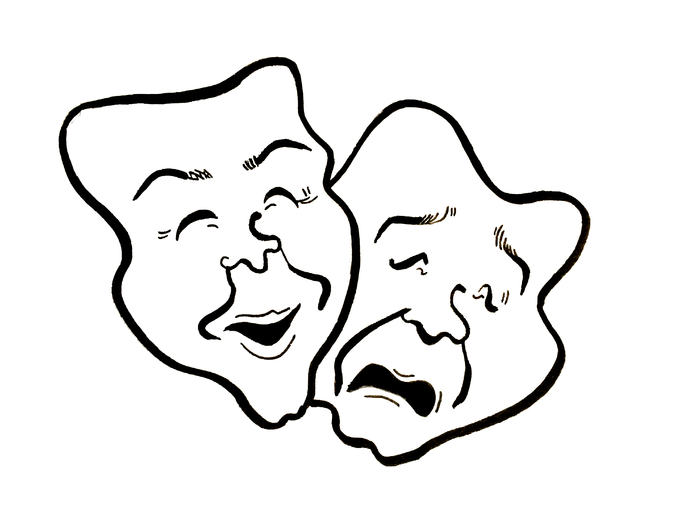 We see the same faces starring in plays not just because the same people are being cast, but also because fresh faces lose confidence in their ability to be cast. The talent pool shrinks. Is directing culture at Cambridge even more of a closed shop? There can be stumbling blocks for budding directors who can’t afford to see professional performances and don’t live near theatres. Do you really stand a chance of being able to direct that wonderful Tennessee Williams play you’ve only read when there could be another person pitching it who lives opposite the Barbican and is on a first-name-basis with the Cat and the Hot Tin Roof? Certain students’ lack of exposure to theatre can make a viable passage into Cambridge direction more difficult, thereby reducing the number of people involved and the imaginative scope of direction. And so, the talent pool shrinks once more. As our talent pool shrinks, we are barred from progression. It becomes harder for theatre to resemble anything even vaguely experimental or innovative. The same tropes are recycled. We never gain new social perspectives beyond our limited creative palate. The natural corollary to all this is ‘Well, how do we fix it?’. I’m certainly not the first to identify that Cambridge Theatre doesn’t invest enough energy in access. In the past, students have made some fantastic attempts to improve outreach, such as running open-invitation workshops and the formation of the Relaxed Theatre Company in 2016. However, exclusivity persists; our work here isn’t done until we’ve re-opened the discussion. I’m not going to pretend I can provide a perfect fix to all this, but as far as I can tell, past access ventures often failed in the longer term because they posed as unique, one-off opportunities. To normalise widespread social participation, it needs to happen habitually. We’d all benefit from knowing that all-inclusive events were going to occur at the same time and place, where people could meet like-minded theatre enthusiasts in the light of day, instead of after hours during the skirmish of questionably-named-cocktails that is the ADC bar. They could take the form of weekend skill-share workshops where students can develop technique and participate in university drama without bagging themselves show roles. It would be possible to engage students in sociable screenings of recordings of the live productions that some wouldn’t have been able to view in the flesh, followed by discussion. The scene might benefit by prioritising the recruitment of assistant directors who have never been involved in direction before and can learn from established university directors. Some considerations? Cultural capital isn’t visible. We don’t wear badges that inform everyone which schools we went to, where we live and how much money our families possess. But just because you might not be smacked in the face by something doesn’t mean it doesn’t exist, or that there aren’t other people who do feel an impact. If we truly see ourselves as theatrical practitioners of the future then we must also see ourselves as agents of that change. We need to dismantle our elitism and the superiority complex on which we construct our identity. It’s time to become hospitable to students from disadvantaged backgrounds. It’s time to stop turning the blind eye. Correction on Saturday 16th February: This article was amended to remove an inaccuracy concerning the selection of directors for ADC productions.